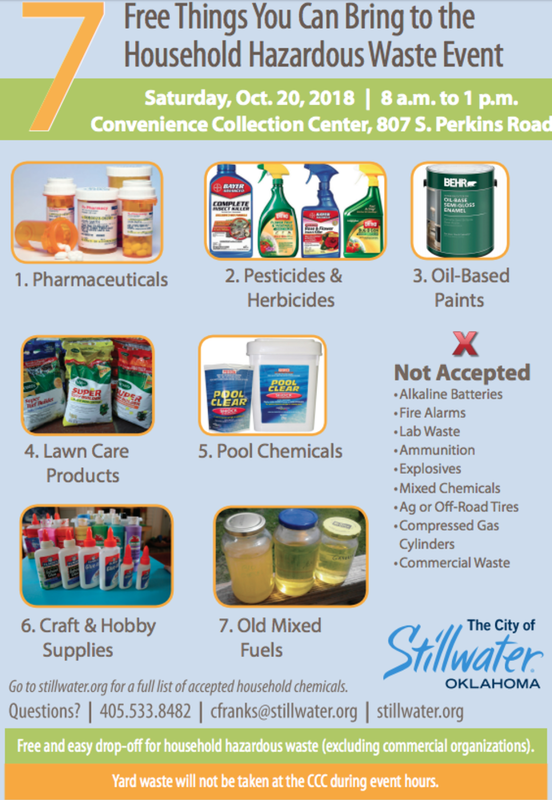 (STILLWATER, Oklahoma / September 24, 2018) — The City of Stillwater is holding its fall household hazardous waste collection event Saturday, Oct. 20, from 8 a.m. to 1 p.m. 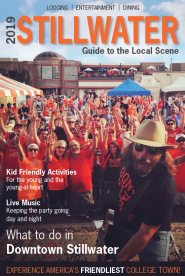 The event is at the City of Stillwater Convenience Collection Center at 807 S. Perkins Road. The center will not accept yard waste during the event&apos;s hours (8 a.m. to 1 p.m.), but will start accepting it again from 1 to 4 p.m. after the special collection event concludes.